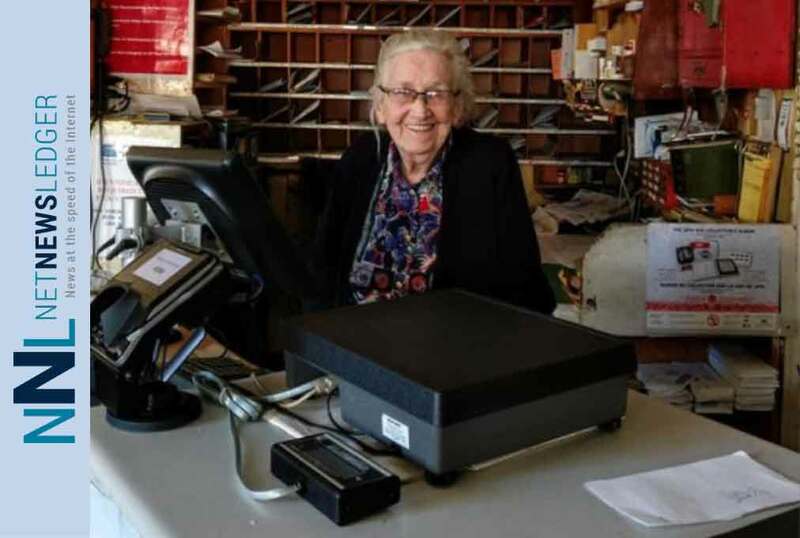 91-year-old Eileen O’Krafka, Canada’s oldest Postmaster, sitting at the desk of the store she has been a fixture in since 1969 in Rostock Ontario. 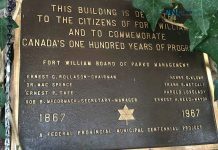 A broad range of historic advertising from Eileen, some of it dating back to the original owner of her building, is now being offered for sale through Miller & Miller Auctions Ltd., of nearby New Hamburg. ROSTOCK, Ontario – Eileen O’Krafka, who’ll be 92 this summer, is Canada’s oldest working Postmaster. Five days a week she sorts mail into the 68 post office boxes, collects outgoing mail, sells money orders, weighs packages and keeps the books balanced. She works out of a small post office in a former general store she and her late husband, Joe, bought back in 1969. 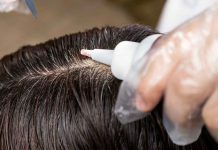 Located in the tiny village of Rostock, Ontario, roughly 50 kilometres east of Kitchener and 150 kilometres west of Toronto, the general store has been closed since 1990, but the post office – and Eileen – remain firm fixtures. When Joe retired in 1984 from the post office at the then-mandatory age of 67, Eileen stayed on. She was seven years younger and not ready to retire. “I’m not done working,” she informed her daughter Lynda O’Krafka. And she wasn’t kidding. Thirty-one years later she’s still not done. When Eileen turned 90, the family organized a surprise party and Canada Post was part of it. Since she was born in 1927, the company drummed up a 1927 stamp, included letters of congratulations and a 30-year service pin, all of which were framed together and presented as a commemorative montage. They invited the entire village to the event and relatives even flew in from Newfoundland and the west coast to surprise her. It was hard keeping the party a secret though. For one thing, all the invitations had to be hand delivered. If they’d mailed them Eileen would’ve known something was up. After all, as the village postmistress, she knows everyone and everything postal. The family’s general store, which they bought 50 years ago and closed almost 30 years ago, remains intact – a virtual time capsule of days gone by. The O’Krafkas are the third owners of the store, which originally opened in 1902. A broad range of historic advertising, some of it dating back to the original owner, is now being offered for sale through Miller & Miller Auctions Ltd., of nearby New Hamburg. Miller & Miller are the same auctioneers who sold actor Paul Newman’s $250,000 woody wagon on CBC’s show Four Rooms, and who have appeared as guest appraisers on the American television series Storage Wars.